This incredible dual lane water slide is sure to be a crowd favorite at any summer event! 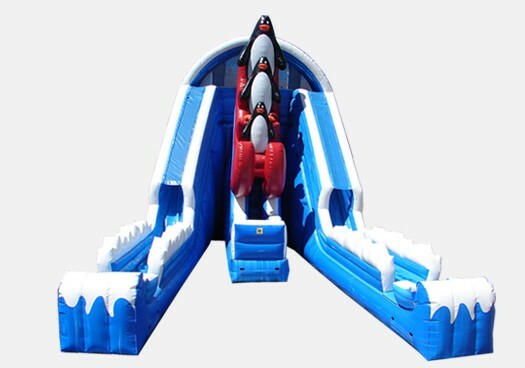 The Raging Rapids 22' Penguin inflatable wet and dry slide is perfect for any rental business, church, school, or other organization. This amazing Raging Rapids Slide is going to be a great addition to your summer games!